It was a pleasure meeting you at last night's seminar. Gail has an amazing success story. She is Black History. When Gail Harris was assigned by the U.S. Navy to a combat intelligence job in 1973, she became the first African American female to hold such a position. Her 28-year career included hands on leadership in the intelligence community during every major conflict from the Cold War to Desert Storm to Kosovo, and most recently at the forefront of one of the Department of Defense's newest challenges: Cyber Warfare. At her retirement, she was the highest ranking African American female in the Navy. A Woman's War: The Professional and Personal Journey of the Navy's First African American Female Intelligence Officer is an inspirational memoir that follows Gail Harris's career as a naval intelligence officer, sharing her unique experience and perspective as she completed the complex task of providing intelligence support to military operations while also battling the status quo, office bullies, and politics. 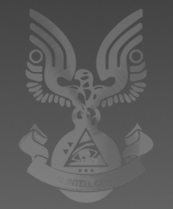 This book also looks at the way intelligence is used and misused in these perilous times. 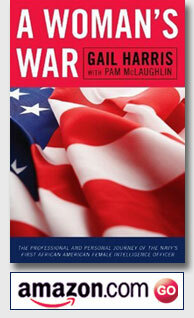 Gail Harris spent 28 years in the Navy working as an intelligence officer. Pam McLaughlin is a retired teacher and has been working since retirement as a ghost writer and copy editor.